Hosted by Windmill Hill City Farm. 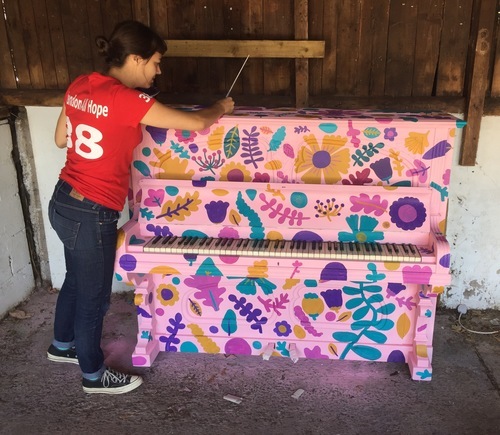 Decorated by Hope Talbot at Windmill Hill City Farm. 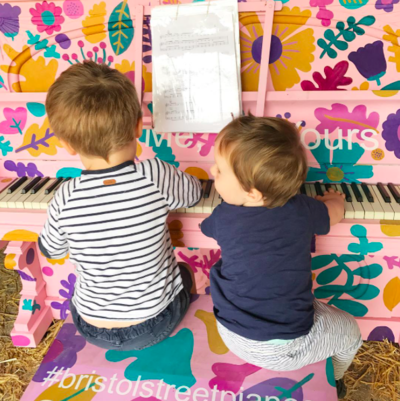 This piano is no longer available to play at the city farm, however we have donated it to St Paul’s Adventure Playground where you can still go to play it during their normal opening hours. 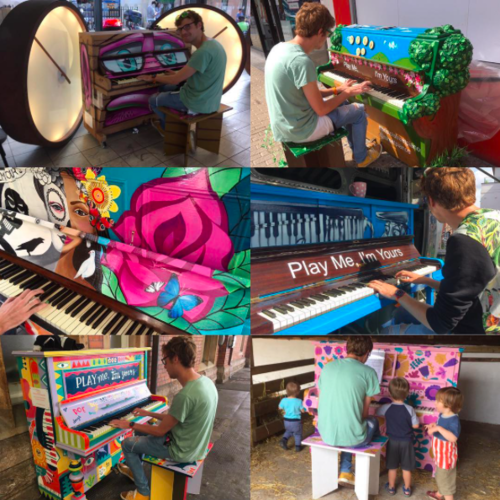 Guy Dobson from the APE Project who have just taken over management of St Paul's Adventure Playground accepting the donated piano that came from Windmill Hill City Farm. What's better than a trip to the farm? 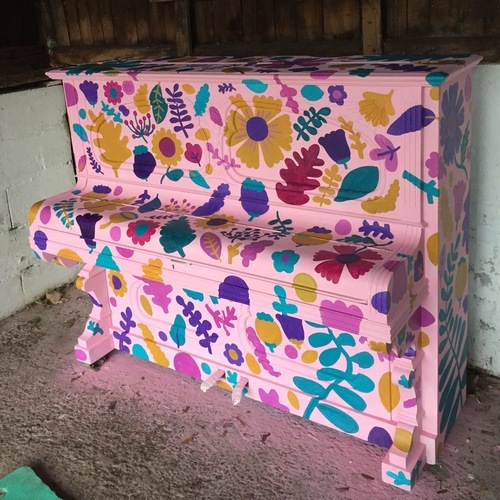 A pink flowery piano in the farm next to the goats! That's what! 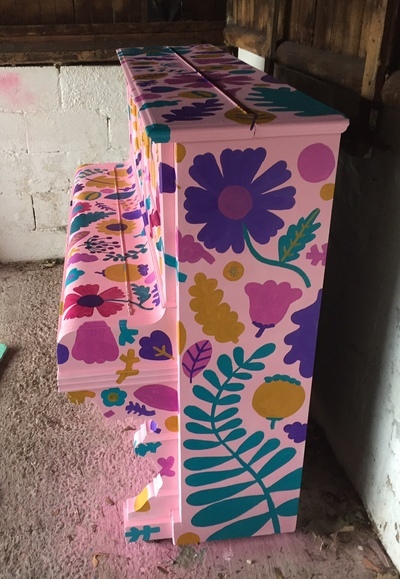 I can see this piano is going to be popular with the kids! 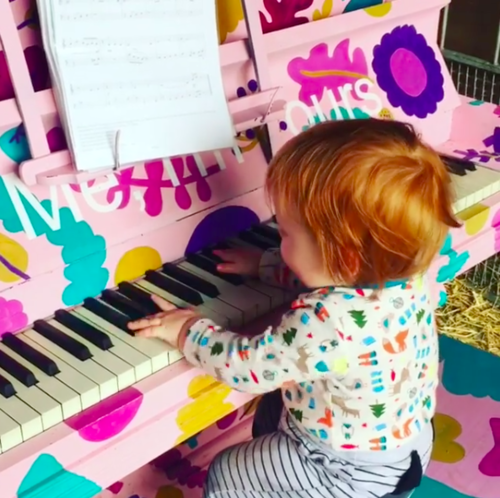 I wonder if it will inspire budding musicians of the future??? 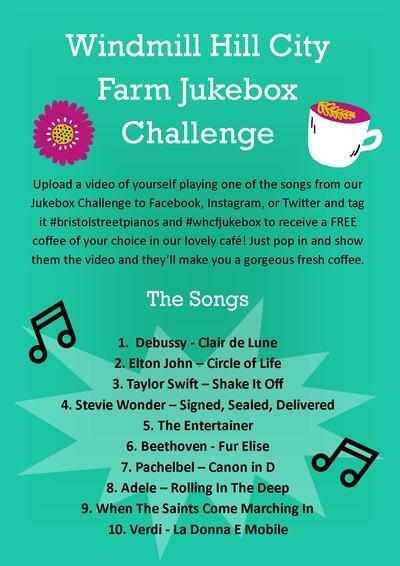 Upload a video of yourself playing one of the songs from our Jukebox Challenge on the Windmill Hill City Farm piano to Facebook, Instagram, or Twitter and tag it #bristolstreetpianos and #whcfjukebox to receive a FREE coffee of your choice in our lovely on-site café! Just pop in to the WHCF Cafe and show them the video and they’ll make you a gorgeous fresh coffee. 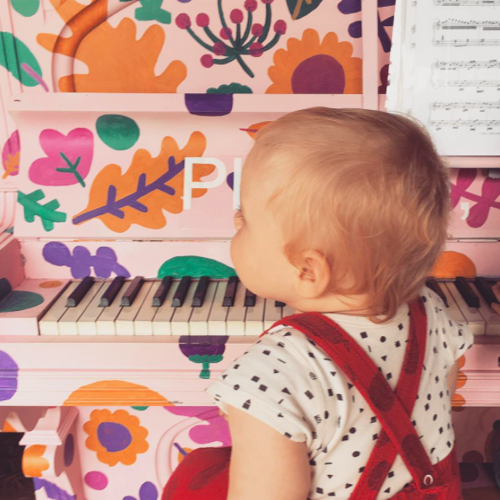 Hope putting some finishing touches on the piano!